Demonstrators argue among themselves during protests Sept. 22, 2016, in downtown Charlotte, N.C., in the wake of the fatal police shooting of Keith Lamont Scott. Glenn Reynolds, a law professor at the University of Tennessee, urged motorists to run over demonstrators blocking traffic in Charlotte, N.C., as they protested the death of Keith Lamont Scott, who was fatally shot by police, The Tennessean reports. Reynolds tweeted, "Run them down" in response to a tweet from a news station in Charlotte that showed protesters on Interstate 277, according to the report. Reynolds' account was briefly suspended by Twitter. His Twitter account was unblocked after he agreed to take down the tweet, The Tennessean reports. "My colleagues and I in the university’s leadership support peaceful disobedience and all forms of free speech, but we do not support violence or language that encourages violence." the dean at the UT College of Law, Melanie D. Wilson, said in a statement, The Tennessean reports. Reynolds later defended himself and his tweet in an email to the Knoxville News-Sentinel: "Yes, that was my post," he said. "It was brief, since it was Twitter, but blocking highways is dangerous and I don’t think people should stop for a mob, especially when it’s been violent." 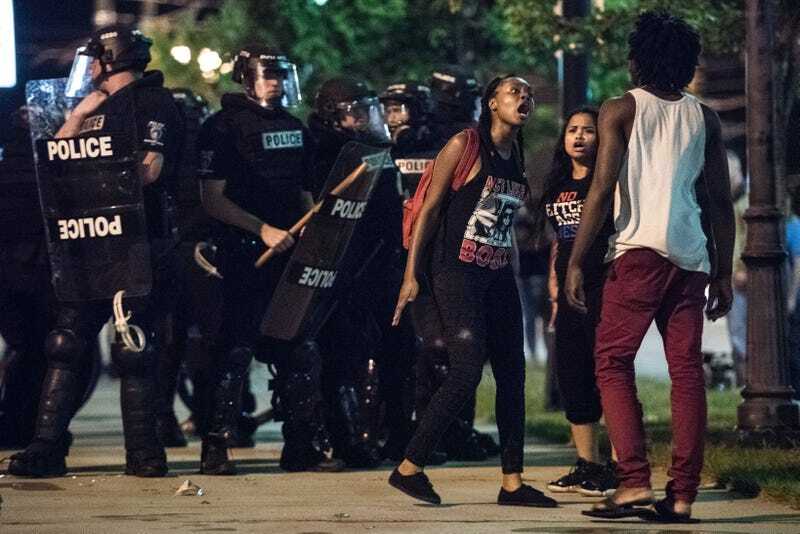 Protests continued in Charlotte Wednesday night as Pat McCroy, the North Carolina governor, declared a state of emergency. Read more at The Tennessean and the Knoxville News-Sentinel.